With the rapid development of modern information era, smart phones have become an irreversible trend to replace the tradition ones. With the trend of aging population in China, we can’t underestimate the rapidly growing population of the Chinese elderly people and increasingly demanding for smart phone. The UI, which is short for user interface, is referred to the collection of interactive methods between phone users and interior phones system. And the research on UI is becoming more and more important in the research of smart phone. 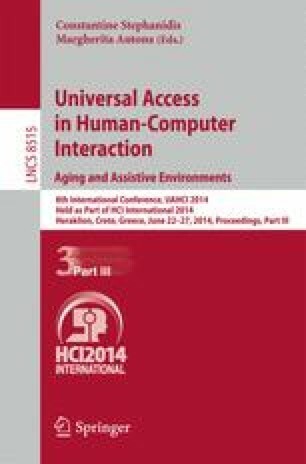 By doing the survey which combined the elderly’s cognition with the smart phones’ UI design, the thesis is aimed at acquiring the methods of UI design for elderly people so that the smart phones can conform to them better. In this way, the smart phones’ functions can be totally applied to them and elderly people’s vision enjoyment can be improved.